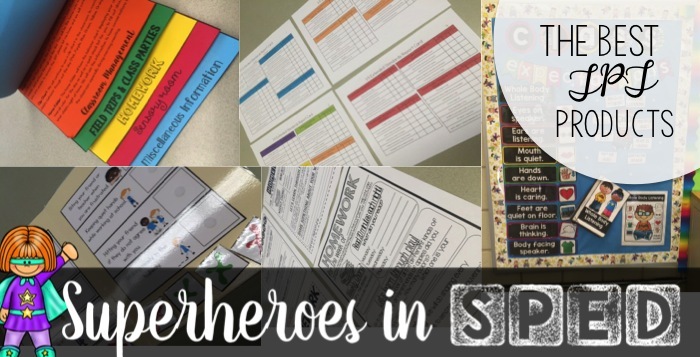 Back to School Block Party week 4: Best TPT resources for a successful year! 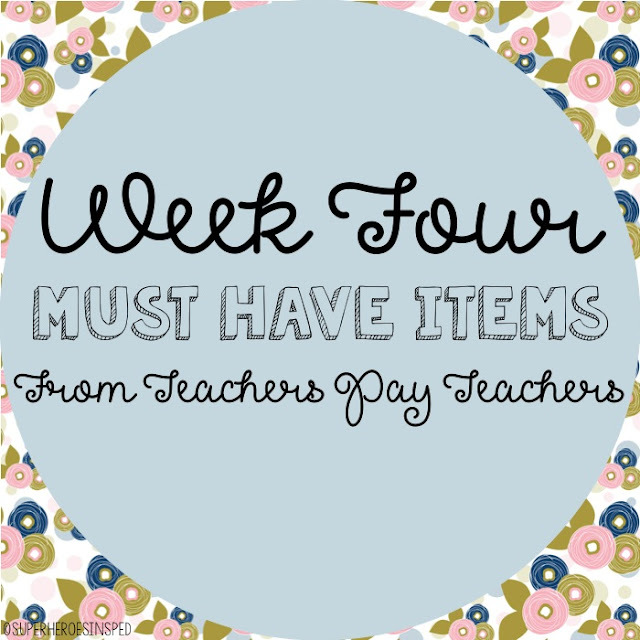 This week we are chatting about MUST have TPT items to have in your classroom. These are all things that I have bought, prepped, and couldn't live without! This is SO easy to prep and it is also FREE! She has some paid ones too that are amazing, but this year I do not have any new students so I didn't have a ton of information to put in--but next year I will be upgrading to the paid ones that hold much more information! The second MUST have from Mrs. D is her calendar writing! My kids will use these everyday as part of their morning work and it is a life saver! 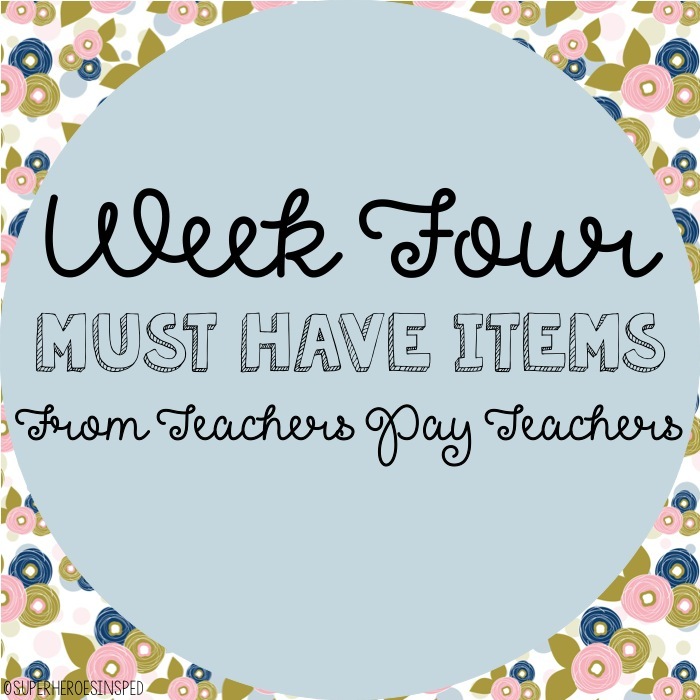 My next MUST have is from Especially Education She is a newer TPT seller, but her stuff is ALL ON MY WISH LIST---I want everything in her store! I just HAD to buy her whole body listening bulletin board back! WOW is all I have to say! 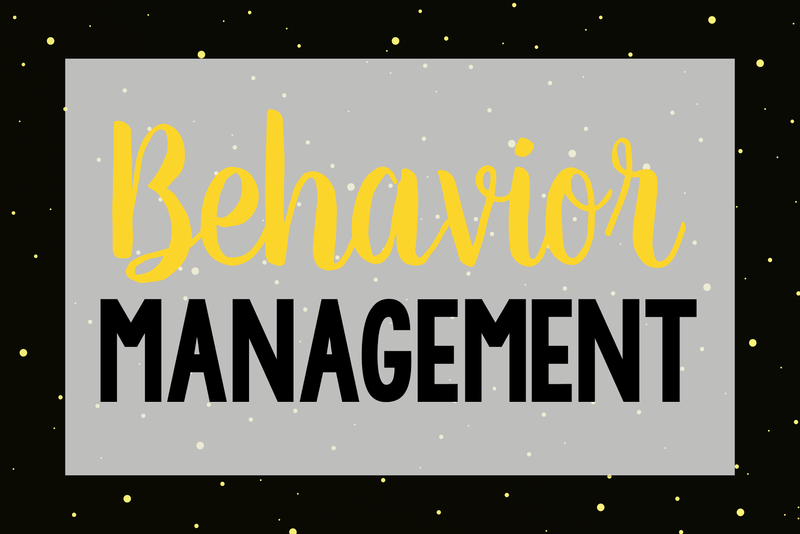 It is such a great classroom management tool! Next up is Kayla from My Special Learners Her Basic Skills file folders are a daily activity in our independent center. 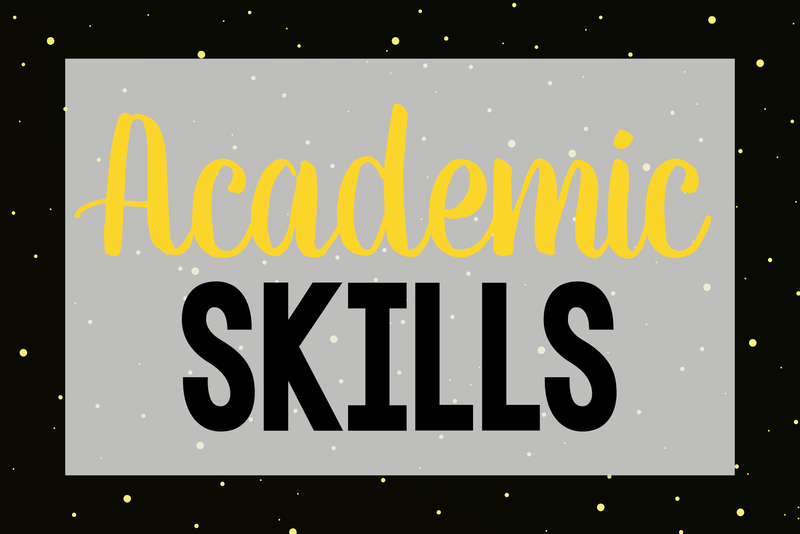 Each month the adorable clip art changes, but the skills stay the same and my students are able to increase their ability to work independently! HIGHLY recommend! Plus they are super cute! I can not live without Autism Adventures Home work pack. They are no prep and are super functional for a self contained classroom. The students and the parents LOVE these! I also could not live without my extended standards report card. I love this because in OHIO we follow extended standards. The parents love getting a report card catered to their students curriculum and I also print off a blank copy and use it as a check list through out the year so I make sure I hit all the standards! 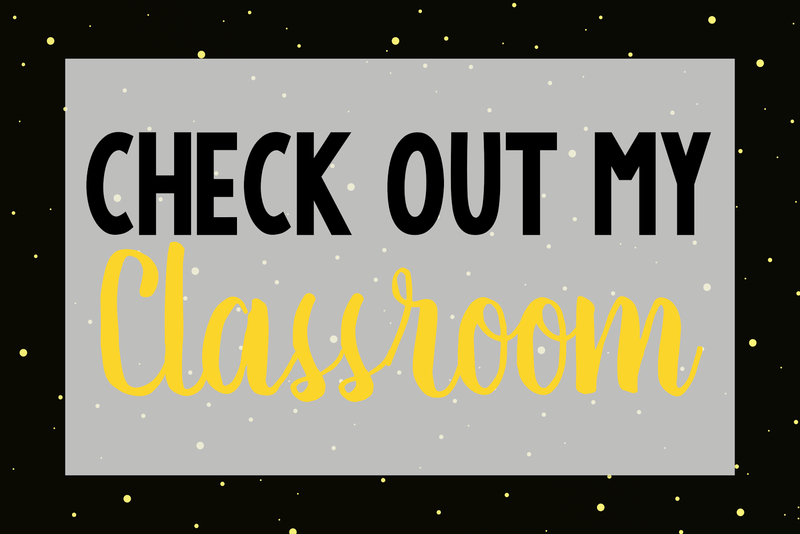 Make sure to check out all these great resources and see if they fit into your classroom! AND head over to instagram and enter in our last give-a-way for the block party! $20.00 TPT gift card to spend in ANY store you wish! Just make sure you like, follow, and answer our question! LASTLY! Tomorrow I will be going on FB LIVE! AH I am so nervous, it is my first time ever! 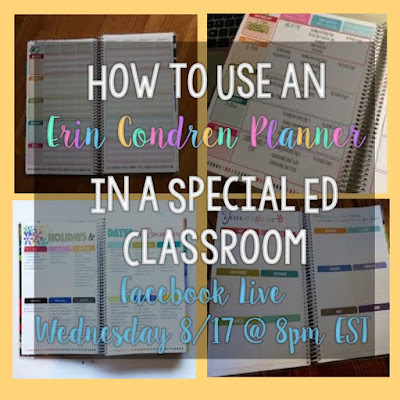 I am going to be sharing how I use my Erin Condren Planner as a special ed teacher! 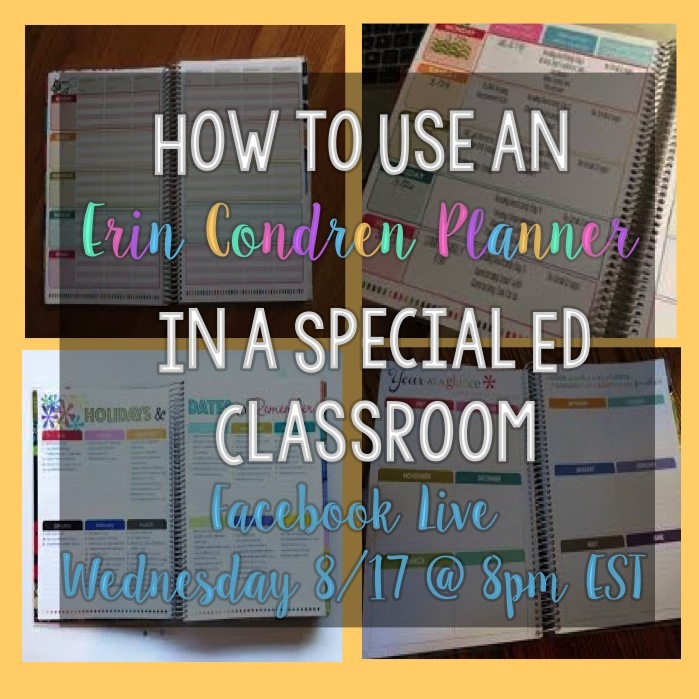 Head on over to Especially Education to see her favorite TPT products and I hope everyone has an AMAZING Back to School Season!